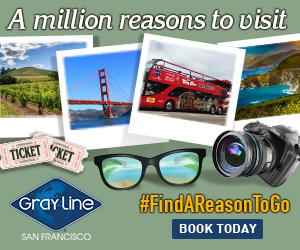 (Editor’s Note: Longtime readers of the San Francisco Bay Times probably remember the famous Bay Times personals, which back in the day helped many members of our LGBTQ community to find their soul mates, as well as to find friends, work partners and more. Remember that this all happened at a time when many people were not out, and the internet, smart phones and social media were not yet available as tools for making connections. Combining the best of both the classic personals and such useful tech, we recently started a new way to discover love, romance and friendship on your mobile device or desktop (BayTimesDating.com). Hello, and welcome to your new relationship advice column! For my first article, I’d love to share with you my story while I get to know all of you a little better. So, who am I? 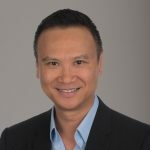 I’m Scott Tsui, the Relationship Results Coach, and my biggest passion in life is to help people make meaningful and fulfilling connections, which include everything from meeting people, casual dating, and committed relationships through to nurturing loving lifelong relationships. Like many of us in the gay community, my teenage years were spent with feelings of isolation and loneliness. That all changed when I met my first partner in my early twenties. I was head-over-heels in love and felt absolutely ecstatic—a complete dichotomy of the isolation and loneliness that I felt growing up. I vowed to do everything within my power to keep this relationship going. But after all of the ups and downs, like most couples, it didn’t turn out the way that I had expected. After fifteen years, we ended up going our separate ways. I was devastated and overwhelmed with frustration, disappointment, and pain. It was during this phase that it hit me: what if being good at relationships was a skill set that could be learned? That was the moment when I realized that I needed to learn some things—not only from my own mistakes, but also from the success and failures of other gay men and couples. When I met my current partner, with whom I have spent the last sixteen years, I wanted to ensure that this time around, I would not make the same mistakes again. This is why I interviewed countless couples, read book after book, took a number of courses and surveys, and trained to be a relationship coach … all to understand: what does it take to find the right person to be your companion? And when you’ve found that person, how do we have the most magical, deep, connected and intimate relationship? Then, how do you make it last? Everyone deserves to love, to be loved and to experience love. That realization led me to determine that my passion in life is to help people to make meaningful and fulfilling connections. 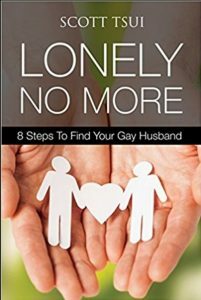 It inspired me to write the book Lonely No More – Eight Steps To Find Your Gay Husband, and motivated me to become the Relationships Results Coach. I was traveling four years ago and met this nice gentleman, who was 74 years old and had never been in a relationship. I was completely shocked! I offered to help, and with my coaching, encouragement, and his willingness to open up and take a chance, he is now in a wonderful relationship with his loving partner. I was thrilled and so excited that he had found the love of his life. His experience was completely opposite to mine and, wow, what an incredible outcome! “I am alone, but not lonely, but it would be nice to have that special someone.” Those were the words that the 74-year-old gentleman said to me when I met him, and it’s the same phrase I so often hear when I’m out spending time with many people in our community. Whether you’re that person searching for your loving lifelong relationship, a person desiring a healthy committed relationship, or perhaps you’re seeking a meaningful connection, we all have it within ourselves to realize our dreams. I’m excited to have this incredible opportunity to share with you my insight and experience to help you make such desires your reality!